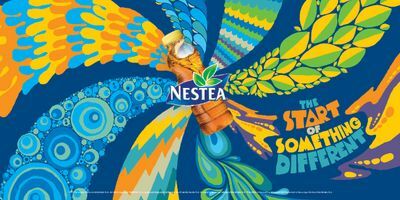 Our new campaign for iced tea brand NESTEA has broken globally – the first phase of a fully integrated campaign that will continue to roll out this year. 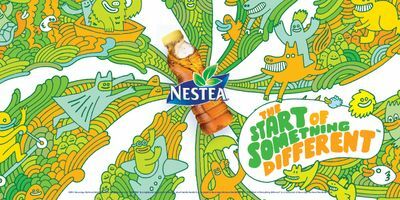 This is our first work for the brand. 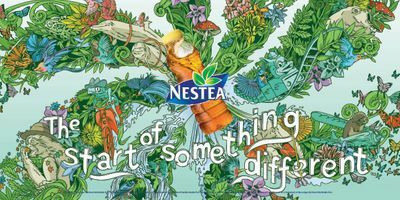 Across all media, NESTEA is celebrating people who are prepared to start new endeavours – look out for the interactive campaign that is breaking soon. And here's some of the print created in partnership with some ace illustrators including Alex Trochut, Cody Hudson and Supermundane.